Editor’s Note: a guest post by Baton Rouge-based conservative activist, petrochemical engineer and St. George organizer Chris Rials, whose research on budgetary and economic trends in Baton Rouge is as good as anything we’ve seen. 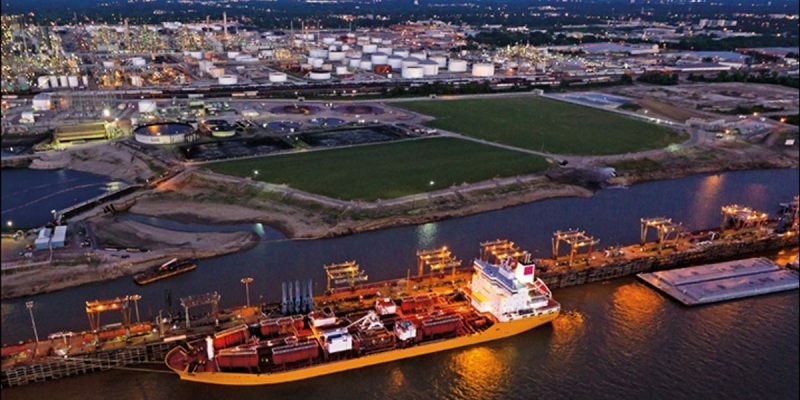 There are 2 mutually exclusive (and polar opposite) arguments associated with the Industrial Tax Exemption Program (ITEP) in East Baton Rouge Parish. Baton Rouge politicians and residents must choose between options 1 or 2, so choose wisely. 2. West Baton Rouge Parish and Ascension Parish officials have been, and continue to be, duped by major corporations for granting ITEP incentive applications. 3. Together Baton Rouge advocates Diane Hanley and Broderick Bagert understand business economics better than global and local manufacturing owners and investors. 4. There is no such thing as a 8:1 manufacturing employment multiplier to the local economy. These are contrived statistics by economists who receive stipends from local manufacturing companies. Because of this perceived conflict of interest, you cannot trust or believe them. 5. The Louisiana Economic Development group are shills for major corporations, and perpetuate the myth that ITEP provides meaningful jobs for local residents. 6. Greedy corporations are making excessive profits by denying teacher pay raises. 7. Higher teacher salaries will improve school district performance scores. 8. Retention of middle income families will improve with higher teacher salaries. 9. Local parish politicians on the School Board, Sheriff’s Office, and Metro Council better understand corporate investment decisions and their impact to the local community. 10. Since ITEP was instituted in 1936, it has drained Louisiana of its natural resources, and is the primary reason our state lags behind other southern states in education and the overall quality of life for residents. 1. Louisiana’s Business Climate is ranked #42 in the nation, while neighboring Texas’ business climate is ranked #3. 2. ITEP partially offsets the uncompetitive business drivers versus Texas. Their business economic advantages include lower local sales tax rates, no taxes on manufacturing utilities or equipment, unified sales tax collection, no corporate or personal income tax. 3. When companies invest in Louisiana using ITEP, they bring jobs, taxes and assets to our parish. 4. For every manufacturing job created in the chemical industry, there are eight jobs created elsewhere in the state. 5. When companies invest, communities do better, more people are working, they buy homes, and pay taxes for schools, police departments and fire departments. 6. Parishes with ITEP have higher teacher salaries, higher employment. St Charles Parish has the #3 highest ITEP abatements and the #5 highest teacher salaries. Iberville Parish has the #5 highest ITEP abatements and the #6 highest teacher salaries. East Baton Rouge Parish teachers are paid $2,000 more per year than the LA state average, despite having the #58 lowest ranked school district performance scores (out of 70 statewide school districts). 7. Parishes with ITEP receive immediate benefits with higher sales taxes for equipment, payroll taxes to pay for roads, police officers, teachers and other social services. 8. After ITEP investment incentives expire, 100% of the property tax value is added to the local property tax rolls. 9. Without ITEP investment incentives, companies will stop investing in Louisiana, payrolls will disappear less money will be available for teachers, police officers, small businesses will start to disappear and fade away. Those are your two options. They’re more or less mutually exclusive. So, leaders and residents of Baton Rouge, which one do you believe in?